This hydraulic power unit is suitable for many lifting applications, but it was specifically designed for low-rise lifts. The 6 L (1.6-gallon) oil reservoir is small but far from puny. Due to their versatility, low-rise scissor lifts are a popular choice for both commercial and home garages. 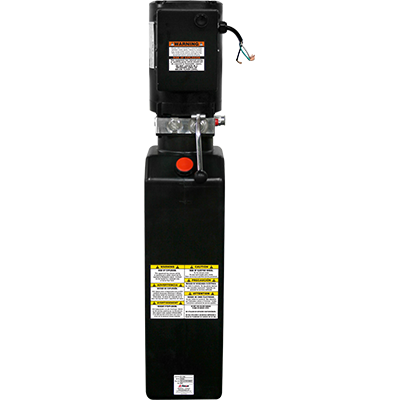 This hydraulic power unit exists solely to get your vehicle lifted fast. The rugged 2.5 HP motor accompanies an increased 13.6 L (3.6-gallon) tank to provide an extra boost of power. Low-rise car lifts will zip up to their max extension. In our five-decade history, we have gained unrivalled knowledge of hydraulic power unit design, and the result has been a series of high-performance hydraulic power packs designed to handle the heaviest applications. 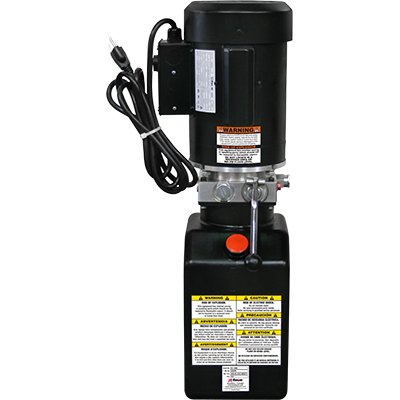 Regardless of which hydraulic power unit you purchase, you’re getting the same excellent quality that you can expect from Ranger. We like to point out that weather and garage conditions will never be a factor: each hydraulic power pack is capable of operating in​ -10–​79°​C. All motors are enclosed in a case that protects against dirt and debris, humidity, chemical erosion, weeping transmission fluid, oil spills and whatever other dangerous contaminants might harm your investment. 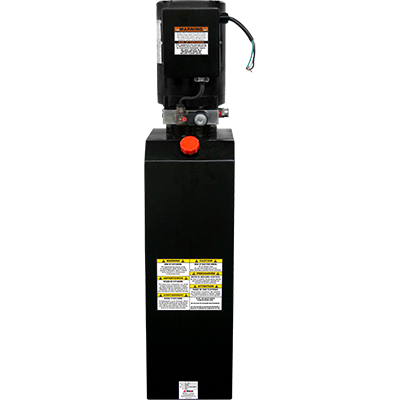 These hydraulic power units feature a variety of tank sizes and single-phase motors, all of which are easily mounted on your automotive lift post columns for easy access and safe, ergonomic control. Pressure relief valves prevent hydraulic fluid from building up and causing serious damage to your operation, and each valve is manufactured meticulously to perform as advertised. We earn our safety certifications by never cutting corners, whether it’s a hydraulic power unit, car lift or any piece of shop equipment in our product line. 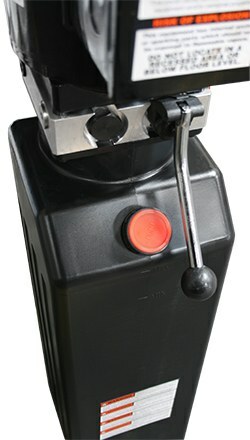 Every single hydraulic power pack we offer is UL Recognised and CSA Certified. To get a sense of the quality you’re getting, look at the warranty. 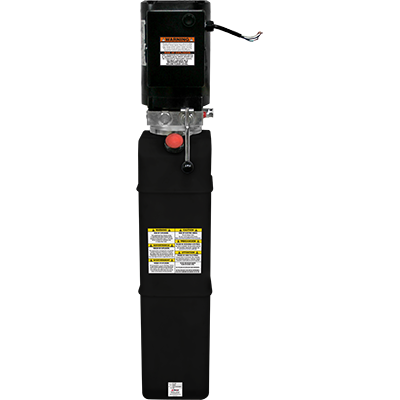 Ranger hydraulic power units come with a one-year comprehensive warranty on all parts, labour and shipping-related costs. 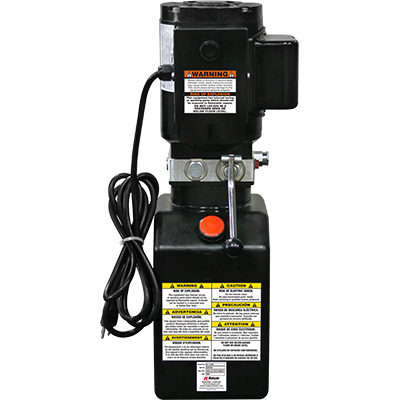 We’re also confident that you may never need maintenance on any part of your hydraulic power pack for many years to come. They’re literally built like little tanks (not to mention, they all come equipped with sturdy tanks).